Reunions represent significant milestones in our lives. They provide a time to renew old ties, relive fond memories of life at the House, and reconnect in a meaningful way. On July 14th we will be getting together for great entertainment, open bar, and a delicious meal at the Country House in New Haven, CT.
Tickets will be available to purchase online and in-person. All tickets must be purchased by June 23rd. We are also offering a payment plan ($25/mo for 3 months - must enroll by April 13th). 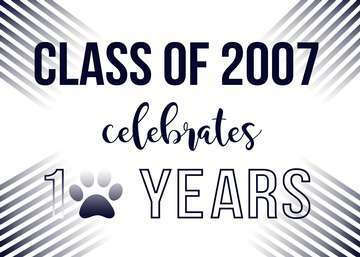 To participate in the payment plan, please email jhhsclassof2007reunion@gmail.com. An invoice will be emailed to you. Full payment of $75/pp due by June 23rd. Cancellation / Refund Policy - In the event of a cancellation, money paid will be refunded to you minus any money paid to vendors.